We are a leading Distributor / Channel Partner of sangoma vega400 four t1/e1/pri voice gateway, digium g100 voip gateway appliance, digium g200 voip e1/t1/pri gateway, sangoma vega100g t1/e1 gateway, sangoma vega200g voip e1-pri-gateway and matrix voip to t1/e1 gateway from Delhi, India. By utilizing skills of our dexterous workforce, we are offering a comprehensive assortment of Sangoma VEGA400 Four T1/E1/PRI Voice Gateway. We manufacture this gateway by employing optimum quality raw material and sophisticated technology in adherence to the set industrial standards. Owing to features like precise design and easy operation, our offered range has been able to earn a lot of popularity in the market. It creates a connection between any E1 or T1 Digital Telephony Network and a VoIP Network. Clients can avail the entire range from us in various sizes and at affordable prices. 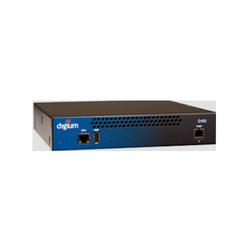 We are an acclaimed name engaged in offering our precious clients a superior quality range of Digium G100 VoIP Gateway Appliance in India. Provided gateway is a single port software-selectable T1/E1/PRI appliance that supports up to 30 concurrent calls. It is built to support TDM-to-SIP, SIP-to-TDM and SIP-to-SIP (transcoding) applications. This gateway manufactured using optimum grade raw material and sophisticated technology in synchronization with industry standards. In order to ensure quality, the entire range is rigorously tested on various parameters by our quality experts. Keeping in mind the diverse requirements of our clients, we provide entire range in various sizes and technical specifications and at affordable prices. With the help of our skilled professionals, we are capable in offering a wide array of Digium G200 VoIP E1/T1/PRI gateway. Built to support TDM-to-SIP, SIP-to-TDM and SIP-to-SIP (transcoding) applications, it is a dual port software-selectable T1/E1/PRI appliance that supports up to 60 concurrent calls. The offered gateway is meticulously tested on various quality parameters. Provided range is manufactured by utilizing optimum quality raw material and latest technology. In line with industry standard we provide the entire range in various customized options and at affordable prices. We are engaged in providing our esteemed customers with a comprehensive range of Sangoma Vega100G T1/E1 Gateway. The entire range of gateway is designed using optimum quality material and sophisticated technology in synchronization with international standards. Apart from this, the entire range is tested under the inspection of quality controllers before delivery to ensure the premium quality. Clients can avail the entire range from us in various specifications and at affordable prices. Sangoma Vega200G VoIP E1-PRI-Gateway is the most resilient single-span gateway in its price class. 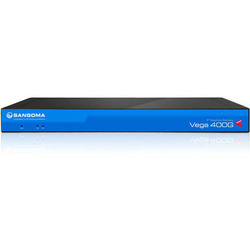 The Sangoma Vega 200 VoIP gateway connects digital telephony equipment to IP networks. Each unit purchased is factory configured with capacity for 60 simultaneous calls. This unit cannot be expanded beyond 60 simultaneous calls. The available Sangoma Resiliency Enablement Suite (SRES) makes the Vega 200 the most resilient gateway in it is class. In the event of a WAN failure, IP phones behind the Vega gateway can continue to call each other, be routed to a backup switch or connected directly to the PSTN. In addition, the use of the Sangoma Network Appliance Provisioning (SNAP) tool makes the Vega 200 the easiest to provision gateway on the market. All Vega gateways support SIP and T.38 Fax. 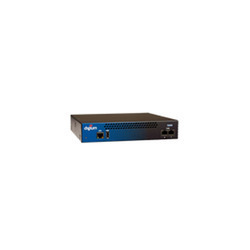 The Vega 200 gateway has proven interoperability with a wide range of existing telecommunications and VoIP equipment. SETU VTEP is a compact, dedicated and feature-rich VoIP to T1/E1 PRI gateway.It is a single-span gateway offering 30 simultaneous VoIP to ISDN PRI calls. 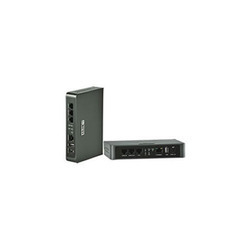 This in-line device sits between ISDN PBX and T1/E1 PRI line to connect PBX users to the IP network for cost-effective communication. For an IP based system it provides T1/E1 PRI trunking. The gateway efficiently delivers toll-grade voice quality with industry standard voice codes and advanced QoS techniques. Multiple mounting options and remote management through web-based console adds to the operating ease. The gateway is suitable for SMBs, Large enterprises, VoIP service providers and System integrators for smooth migration to the new-age IP telephony. It helps them to control the communication overheads and realize an earlier return on investment through advanced features and functionalities. With SETU VTEP, multi-branch offices can use their existing broadband connections to setup cost-effective IP communication among them.